Fidel moved to Canada 23 years ago, and holds two degrees from Canadian universities, a bachelor degree in Political Science with a minor in Philosophy, and a Bachelor degree in Education from Acadia University in Nova Scotia. Fidel also holds an Immigration Consultant Diploma from Herzing College. Fidel has been involved for more than 18 years in the education sector as a high school teacher, university instructor and educational consultant. 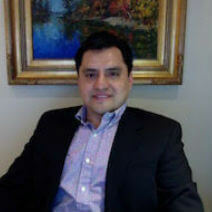 Fidel is an owner and a founder of You Can Learn Global Education, an education consultancy firm established in 2012. Fidel speaks Spanish and English.